According to the Dance Magazine, “Eduardo Guerrero is flamenco in its richest current incarnation. The Cádiz-born 35-year-old crafted a solid career in the companies of some of Spain's most important dancers, including Eva Yerbabuena, Antonio Canales and Rocío Molina. 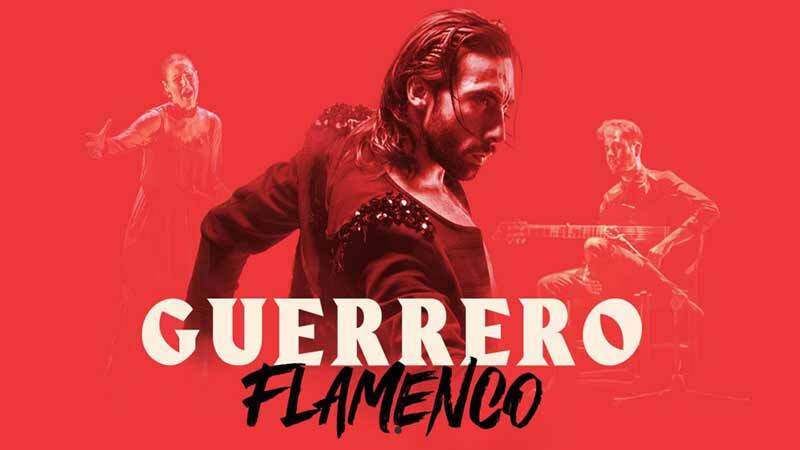 However, his two solo shows, El callejón de los pecados ("Sin Alley") and Guerrero ("Warrior"), are what have brought Guerrero to the forefront of flamenco dance in Spain. Guerrero received the Audience Award at the 2017 Jerez Festival due in large part to Guerrero's astonishing endurance: Dancing for nearly an hour and a half straight, pausing only to change costumes (sometimes onstage), Guerrero tells the captivating story of his relationship with women. The archetypal roles of the mother, the lover and the friend, performed by three female singers, all demand a different emotional and physical response, allowing Guerrero to display a breathtaking array of movement that often pushes him to the perilous limits of human motion.